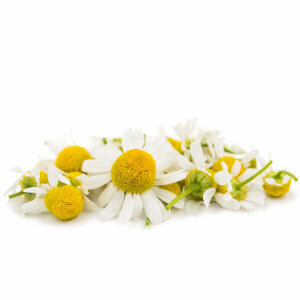 Chamomile is an essential ingredient added to skin care and beauty cosmetic. This material is naturally grown in many locations on earth. Chamomile contains active Flavonoid and Essential Oil compound.